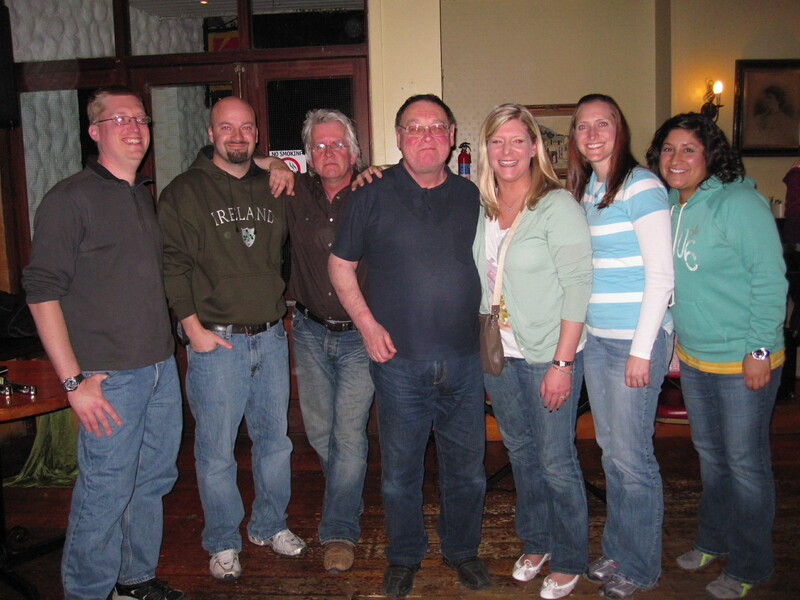 The TAP teachers and a pair of hilarious Irish musicians after a concert in Kilarney, Ireland. TAP is made up of teachers who share a common belief – the best way to learn about the world is to go out and experience it. We feel the best way to understand history is to go and stand where it happened. The best way to explore literature is to see where the authors lived and the stories took place. The best way to ‘get’ science is to get your hands dirty out in the world. We all think that what TAP offers is the world’s greatest classroom. Mr. Curtis has been with TAP since the beginning. Since Germany was the first trip he took, it is still one of his favorites, although seeing all of our students get up on stage in a Greek dinner theater and try to follow along with the Greek dancers was one of the funniest things he’s ever seen. Even though he’s seen some amazing stuff, the real cultural experiences have been his favorites – the Greek theatre, music night in the Irish pub, singing along with the musicians in Munich, Germany, seeing a Japanese baseball game, watching Spanish Flamenco dancers, Shakespeare’s theatre, the Czech black light theatre and getting to know people from the other side of the world – like our tour directors – Bernhardt (Germany), Elaini (Greece), Juanito (Spain), Miss K (Japan), Lorna (Ireland and England), Tristan (France), Robert (China), Gloria (Rome), Michael (Poland), and Dwayne (South Africa). 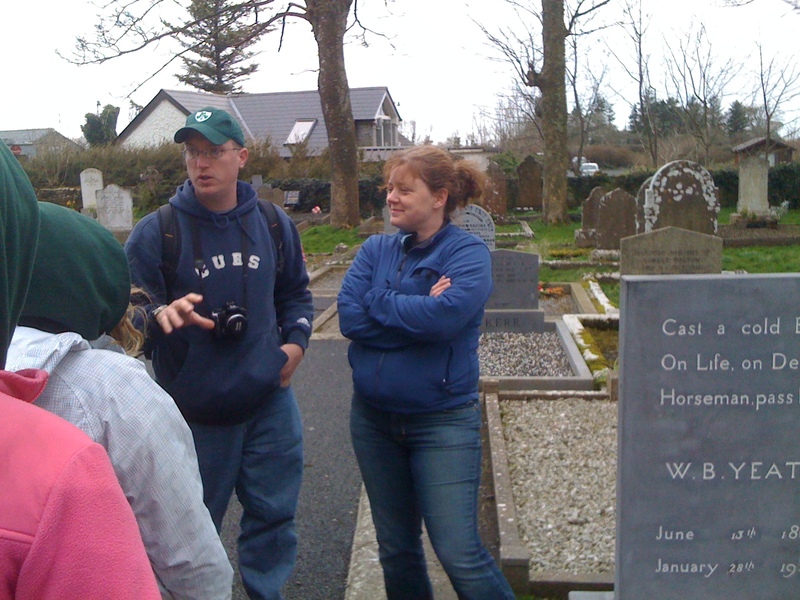 Mr. Curtis and Lorna share a poem by WB Yeats with the students while standing alongside his grave. 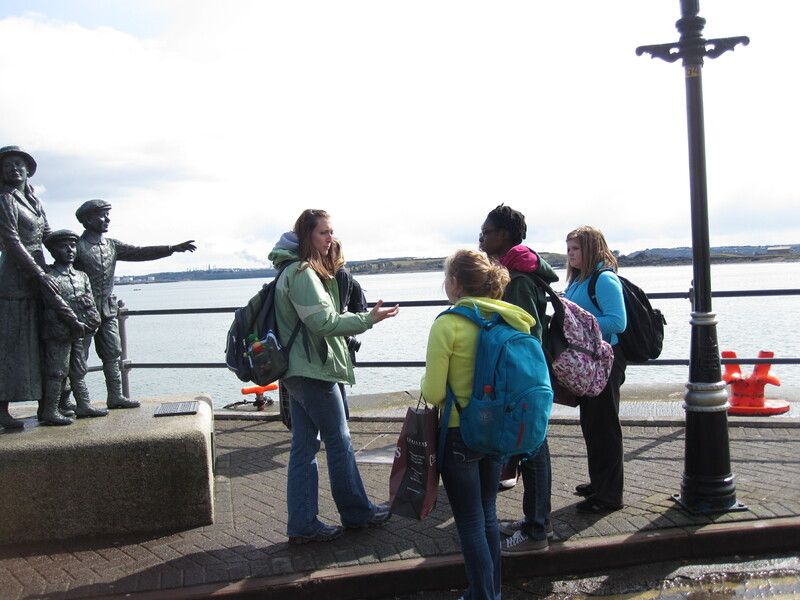 Mrs. Harig shared the story behind Annie – the statue behind her – with some of TAP’s Ireland students. 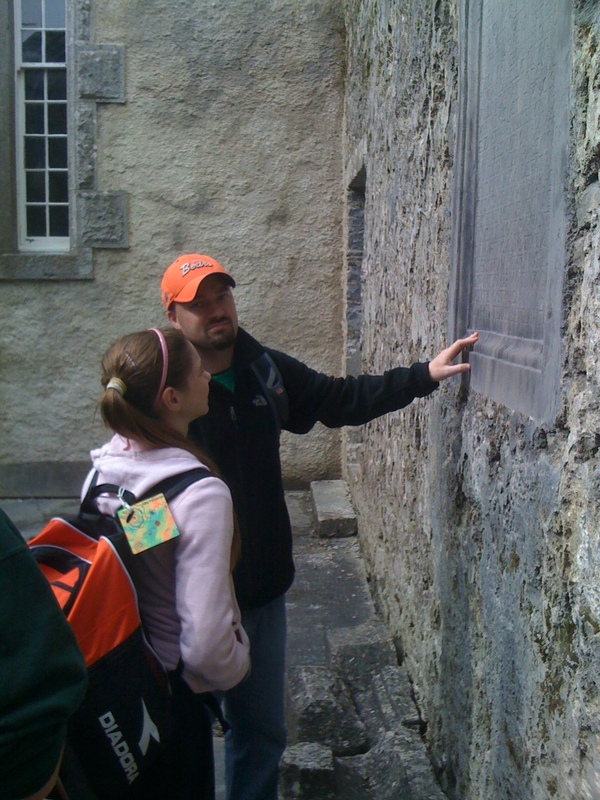 Mr. Doerr is well known for telling his students, at every opportunity they have, to actually touch history. He then tells them to sanitize, because you never know who touched history before you. Mr. Doerr started with TAP during our third year – Italy. As a history teacher who focuses on the Roman Empire in his class, he thought there’d never be a way to top the experience of traveling through Italy and seeing places like Vatican City with his students. However, Mr. Doerr fell in love with Ireland. 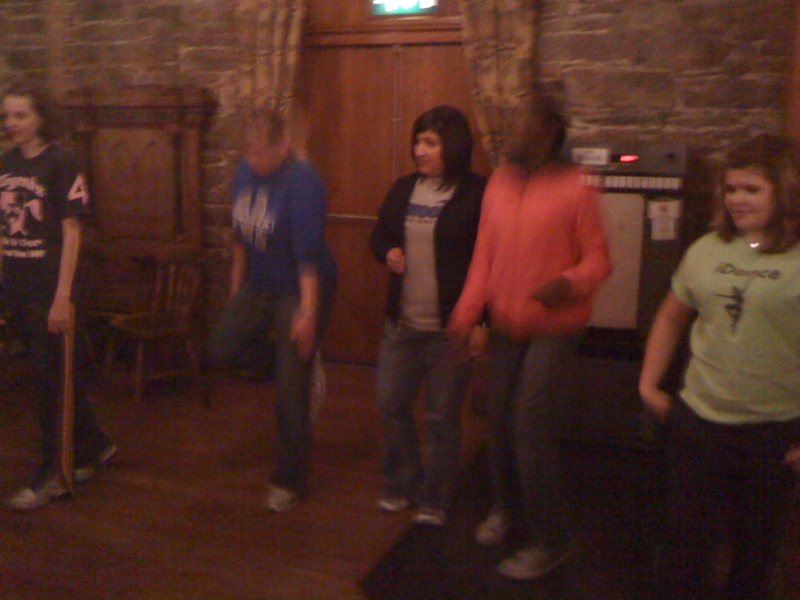 Miss Lara, like a lot of us, loved learning Irish Dancing in a little cottage near Blarney Castle. Italy was Miss Lara’s first adventure with TAP – oddly enough, she joined up with us after meeting some of the other TAP teachers in a Spanish language class. She put those mad Spanish skills to use a few years later when we visited Spain. The night before we saw a Bunraku puppet theatre performance in Osaka, Miss Tadey prepared the kids for what they were about to see. During the summer of 2012, Ms. Tadey, the school’s band director, joined us for our trip to Japan. She was a valuable addition to the group because of her expertise in music and the arts, as well as her lifelong interest in Japanese culture and food.It’s tough for her to pick a favorite moment, because the whole Japan trip was an eye opening experience. The highlights of the trip for all of us, though, had to be meal times, when Miss Tadey would coach us on Japanese etiquette, using chopsticks, and simply understanding what some of that unusual food was. Mr. Keeton’s first trip with us will be South Africa in 2015. He’s been a valuable member of the group so far, because his passion for history shows in his lessons with the students. Mr. Keeton is a speech teacher in Joliet, and a much better biography and an awesome picture will be in this spot soon after we return from Africa.